Jimmy's On The Mall, Queen Street Mall, Brisbane CBD - my name is Food. One of the places in the CBD to take relatives or friends when they're coming from either interstate or overseas is somehow here at Jimmy's. 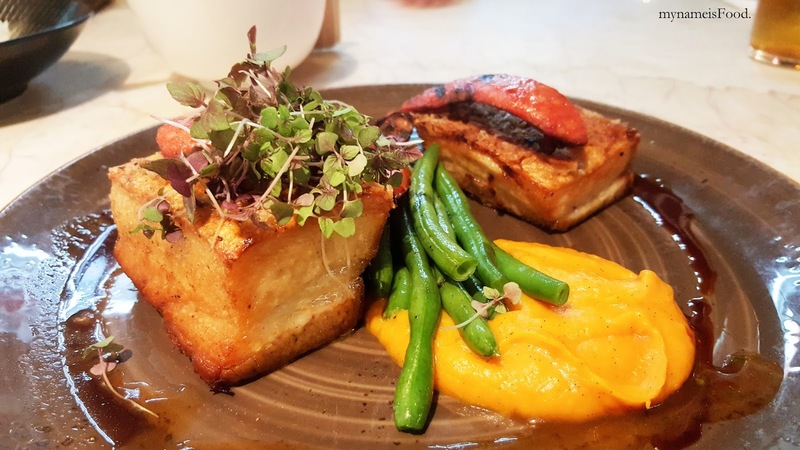 There are other options such as dining at Riverside and so on, but when wanting a place to relax and enjoy good food as well as people watching then this is just the place. Being open 24 hours also helps with the fact that when you're out late at night and wanting to have coffee and cake and so on but still be able to enjoy the environment. 'Roasted Free Range Pork Belly' (AUD$34) was nicely laid out allowing each of the elements of the dish to shine on its own while having the different colours pop out. 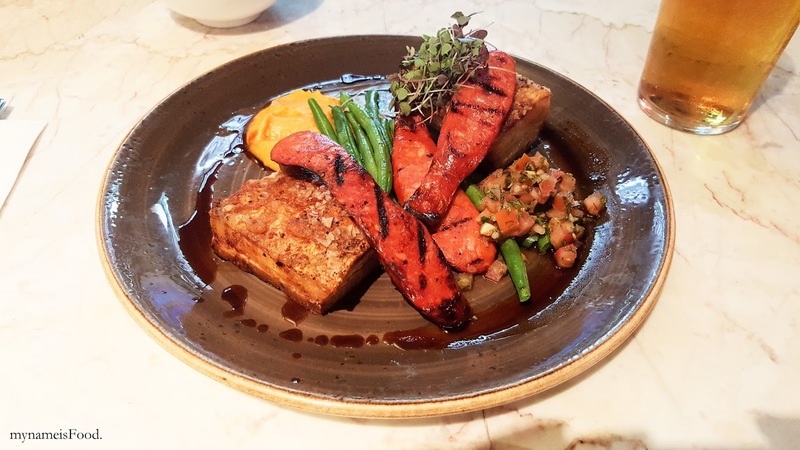 Served with pumpkin, green beans, chorizo sausage and sauce vierge, there were two generous cuts of the roasted pork belly. What seemed to have been a spoonful of Bruschetta mix was refreshing to have within every few bites here and there. 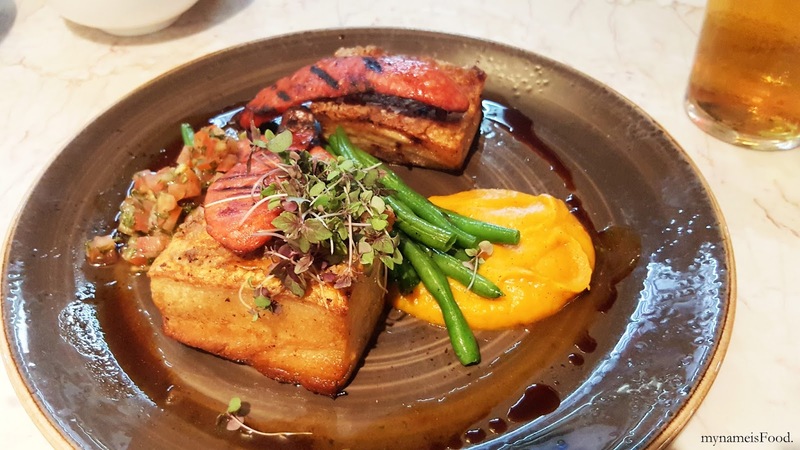 The pumpkin puree was delicious while the slightly grilled chorizo sausage was a nice touch though not sure how it would've worked together with the pork belly as the main element of the dish would be the pork belly. 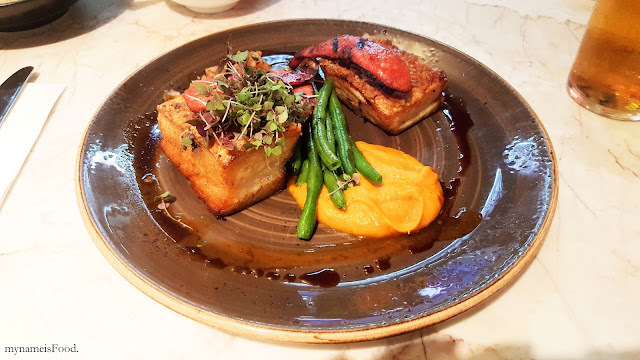 The green beans was not overcooked and soggy but instead crispy and was the only crunch in the dish other than the crispy skin of the pork belly. 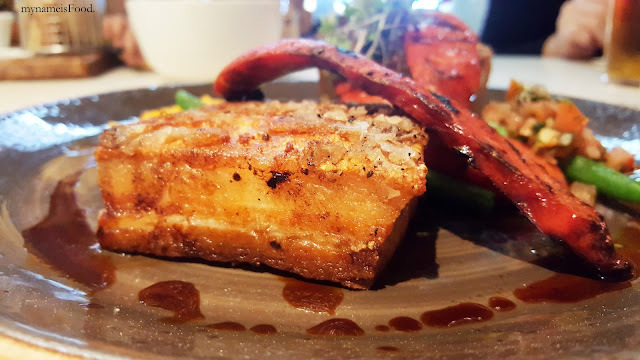 The roasting of the pork belly was done quite nicely, having that crispy skin and the right amount of saltiness. 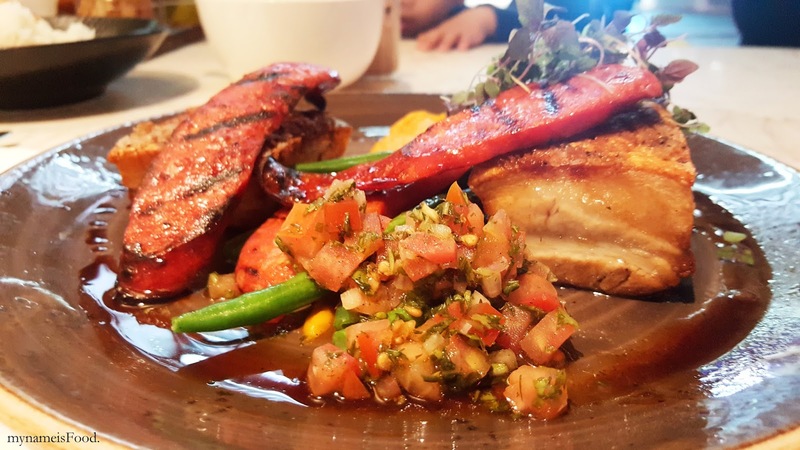 Though, when slicing through the pork belly, the crispy skin was hard and tough, making it very hard to slice through and even bite it without having your teeth hurt a little here and there. You would have to bite it slowly and softly if possible. The pork belly meat itself had the right amount of salt absorbed into it and seasoning. It wasn't too oily but felt that most of the meat itself was just pork fat. 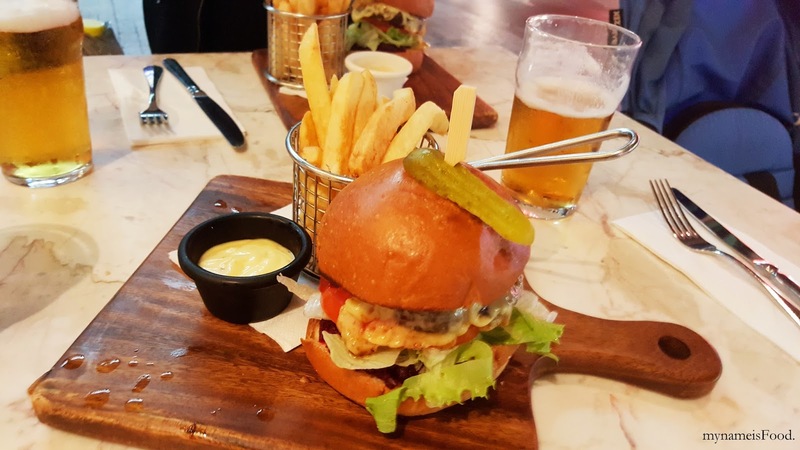 'Wagyu Beef Burger' (AUD$22) served on a wooden chopping board served with lettuce, tomato, beetroot relish, pickle, mozarella cheese and chips. It didn't seem overwhelming in a way as it was just okay overall. The bun was not soft but was rather hard and the wagyu beef pattie was slightly dry. The chips was quite a let down for such quality usually served at Jimmy's. It was soft and soggy, not crispy as it could've been.